Join us from November 1st thru December 15th for a two night shopping getaway with your sister, your Mom, your best friend, for an old fashioned Christmas Shopping Getaway-Miracle on 21st Street Shopping Package! Time to shop til you drop, and then join us back at The Empress for Hot Apple Cider (spiked if you like) and a massage to loosen up those muscles and rejuvenate those tired aching feet. Then enjoy a wonderful dinner at one of our many outstanding restaurants (let us make your reservations for you) Ciao, Brave New Restaurant, Ristaurante’ Capeo, Bruno’s, Cache, they’re all great. Join us for breakfast each morning and be pampered with Pumpkin Puff Pancakes with Hot Cider Sauce, or Decadent French Toast with Clotted Cream and then do it all over again. OR relax by the fire, sip on hot cocoa, eat peanut brittle, and enjoy the Relaxation while an elf wraps your packages! The miracle will be you ever shopped any other way! Prices start at $276 per person (tax and gatuity extra) Please call for prices and reservations!! OH! How wonderful it is!! Whether it’s a Christmas Holiday Vacation to take in Ballet Arkansas’ Nutcracker, the Symphony, or one of the other exciting holiday entertainments available during this special time, a trip to a simpler more carefree world will inspire your Christmas holidays vacation with memories for the rest of your life. Don’t wait to book your visit to a gentler time. Stay a century away and experience how it was in the 1880’s!! THIS YEAR, STAY TWO NIGHTS IN ONE OF OUR SPA SUITES BETWEEN THANKSGIVING AND JANUARY 4TH, AND GET YOUR THIRD NIGHT 50% OFF ! Come shopping, see our local Christmas sights, or just relax and let one of our fine dining facilities in Downtown do all the work. (Ask us about our list of favorites!) Call The Empress at 501-374-7966 for pricing details. Join The Empress of Little Rock on Sunday, December 16th at 3:00 p.m for the annual Holiday Christmas Grand High Tea and Tour of the Hornibrook Mansion. 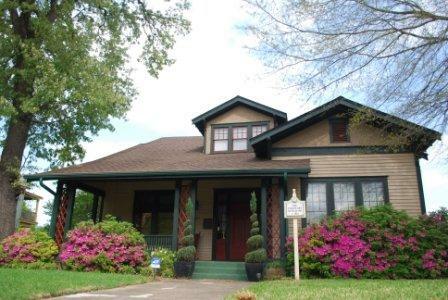 Start your holiday season in the elegant “Quapaw Quarter” with a tour of the beautiful and elegant “Hornibrook Mansion” now known as The Empress of Little Rock Bed and Breakfast, in the Quapaw Quarter section of Downtown Little Rock. There will be magical Victorian decorations depicting the 1890’s era of the Hornibrook Mansion, known regionally as “The Grande Dame of the Ozarks” for it’s elaborate detailed Gothic Queen Anne Architecture. After an elegant repast of American Grand High Tea, including many refined traditions lost to us in our modern “technological” world, a detailed history of the family that took such pleasure in building this amazing architectural triumph and a tour and discussion of 1890’s Christmas traditions will follow. This is a time to enjoy customs and family values that made us who we are today. Bring your Granddaughters, yours Mothers, your Grandmothers to experience the joy of an 1880’s Christmas to begin your holiday season. CHRISTMAS IN THE QUARTER WEEKEND PACKAGE: GRAND HIGH TEA & TOUR RETREAT. Please join us before or after the Christmas tea and relax at The Empress with old “timey” traditions like working a puzzle with your family or Dominos, Scrabble, or Wheel of Fortune . Luxuriate as if you were the guest of a fabulously wealthy couple of the 1880’s who thought nothing of spending millions to create this time for your personal enjoyment. Have a cup of traditional homemade “english” eggnog or hot chocolate as you sit in front of a roaring fire and listen to Holiday music. Enjoy a romantic carriage ride snuggled under a fur blanket garbed in gold fringe with a hot mug of holiday cheer. Wander through the parlors draped with live greens and vintage Victorian decorations and make memories of Christmas splendor to enjoy for the next 50 years of your life. Welcome the holidays with the a “Christmas in the Quarter” tea, and stay to start your enjoyment of the holiday season to set the stage for a wonderful Christmas to remember. an inside view of The Empress draped in her very best Victorian Holiday fashion! Join us for a New Year’s Eve “Downton Abbey” Holiday Package! Step back to New Year’s Eve, December 31st, 1889, the Hornibrook family’s first new year in their magnificent mansion. The tailed and gloved Butler greets you at the door to be received by the family and escorted to your warmly glowing guest room. An aproned maid serves a bubbling glass of champagne as your escorted thru the parlors on your way to your room. Book your reservations now for this New Year’s Eve holiday weekend and we’ll arrange an Uber or Taxi to take you to an elegant dinner (we’ll make reservations at one of the elegant restaurants downtown for your dining pleasure) or party. Return to your cozy Victorian suite where you may enjoy liquor and chocolates before retiring to arise for a late Champagne Breakfast Brunch at 11:00 a.m. on New Year’s Day. ( A most civilized time to have your bow-tied and gloved butler serve you breakfast). After your evening of revelry and rest, a fabulous Champagne Brunch awaits at 11:00 a.m. New Year’s Day. Gloved Butler at your reception; glass of champagne. MAKE YOUR RESERVATIONS EARLY FOR THIS EXCLUSIVE EVENT. 501-374-7966 for details! Experience a very special Grand High Tea just for Mom! Sample a Mother’s Day Grand High Tea tradition at The Empress with homemade Empress Scones, decadent clotted cream and delicate lemon curd; dainty gourmet finger sandwiches such as brie and fig grilled squares, traditional cucumber sandwiches made with our own savory dressing and special bread. All these extra touches plus elegant desserts from the early Victorian Era to the turn of the 20th century. Learn and experience all the traditions common to the late 19th century and long abandoned to that bygone era, except at The Empress. Specialty tea will be freshly prepared and served with elegant Victorian Pomp and Circumstance. This event has very limited seating designed to provide a very unique experience, so call and make your reservations early at 501-374-7966. Well behaved children 6 and over welcome. A few delightful surprises will be included. $50.00 per person, reservations required. Mother’s Day Grand High Tea is on Sunday, May 13th, 2018, AT 3:00 P.M. Converted in 1995 to The Empress of Little Rock Small Luxury Hotel and Conference Center, the Hornibrook mansion is architecturally amazing with a history to match..…which we will happily share with you! Step back in the past for an hour of genteel tea and good company during which your hostess will introduce you to the Victorian beginnings of The Empress! So dawn your gloves and wear your hat. This is an occasion to celebrate, share with your Mom, and remember! The Quapaw Quarter Association will be celebrating its 50+ annual Spring Tour of Homes on Mother’s Day Weekend, May 12-13, 2018! The Empress will be highlighting this annual historic tour by offering the Little Rock Spring Tour of Homes Package with Grand High Tea at The Empress. 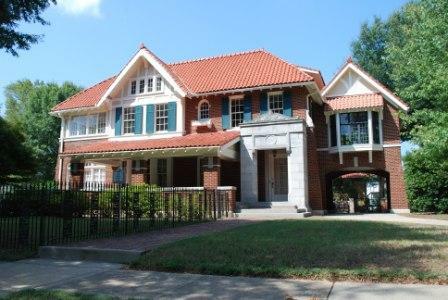 The package will feature the annual tour of incredibly restored period homes (examples below) in the the Governor’s Mansion Historic District, home to new Governor and Mrs. Asa Hutchinson. Book your two night Little Rock Spring Tour of Homes Package with Grand High Tea at the Empress now and receive Friday and Saturday night accommodations with a two course candlelit gourmet breakfast each morning, two tickets to the Grand High Tea at the Empress and two tickets to the Spring Tour and Candlelight Gala. Saturday evening you’ll be treated to a a leisurely stroll along the quiet and fragrant porch lined streets of the our historic neighborhood as you tour the featured homes and enjoy champagne and canapes. Then gather for dinner, cocktails and dancing until the wee hours before returning to The Empress to relax on the porch or your balcony under the stars or collapse in the privacy of your room and your very own period featherbed! Tickets for the Candlelight Gala including tour, dinner and dancing. Two Course Gourmet Candlelit breakfast each morning. UNPLUG at The Empress of Little Rock, and plan an un-exciting Arkansas Memorial Day ~where you enjoy relaxing in the hammock of the Moonlight Secret Garden, thrill to the slow trickle of the fountains, chill in the 200 linear feet of porch with 4 sitting areas, use “Grandma’s garden swing” to be lulled by the song of birds, or stroll the gorgeous spring gardens and just forget there’s a regular world outside. The Empress can do that for you!! Stay a “century” away, but never leave Little Rock!! Special “Unplug Certificate of Achievement” and “chocolate reward” for those who complete the weekend “unplugged”. Three gourmet two course breakfasts by candlelight. All the rest and relaxation afforded by gardens, hammock, swings, fountains you can pack into a 3 day weekend!! Rates are for two people/room. Package applies to two people only.